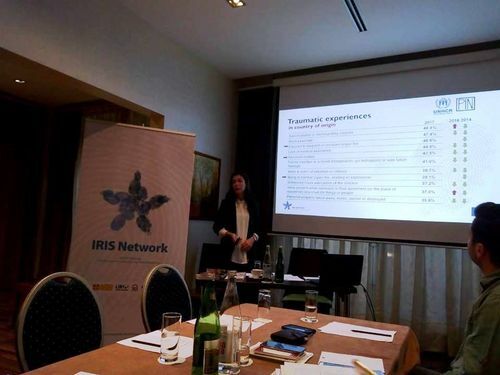 From 26th – 29th November, First Regional Social Academy of IRIS Network was held in Belgrade. This event gathered 18 distinctive mid-career public servants, scholars, activists and professionals from civil society organizations from the region. 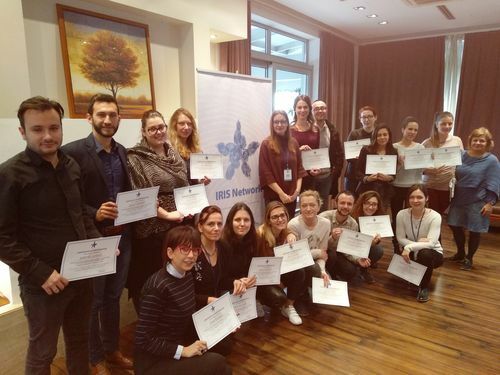 The Academy offered participants a unique opportunity to benefit from a diversified training package, exploring migration policy and governance in the region, linkages between migration and social service delivery, and instruments and mechanisms for protecting migrants’ rights. Participants attended 4 day tailor-made training consisted of different learning methodologies including lectures, workshops, discussions and field visits. 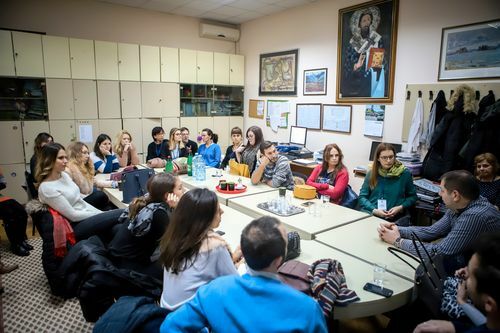 The aim of academy was to increase access to and level up the practical social service skills and competences of participants, raise awareness about the importance of practice-oriented protection based migration management in region and ingrain it in the activities of various stakeholder groups in follow up. 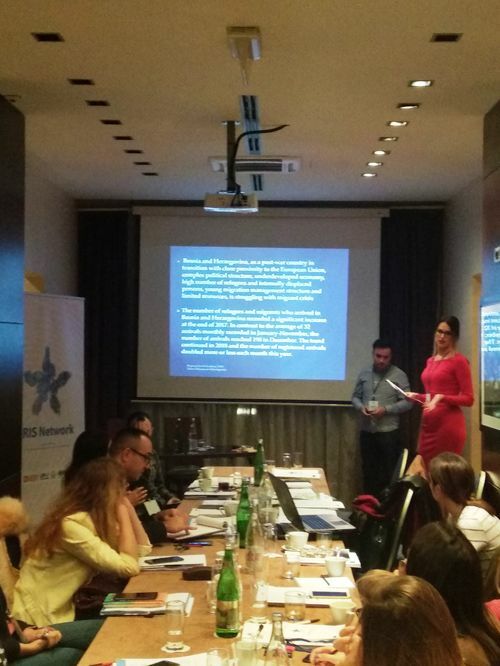 First day on IRIS Regional Social Academy was reserved for Vladimir Petronijević, director of group 484, who presented EU response to migration – current situation and announced steps forward. Afterwards, Introduction Workshop was held, on topic Refugee and Migration Crisis and Western Balkan- Yesterday, Today and Tomorrow. 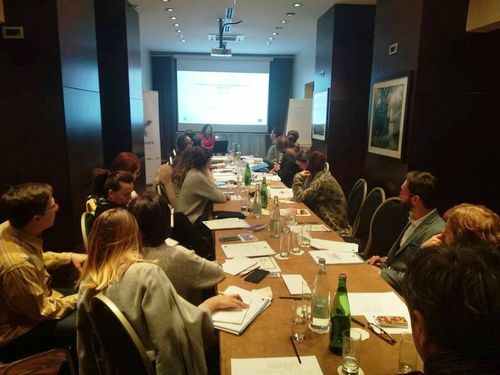 All participants from Serbia, FYROM, Albania, Montenegro and Bosnia and Herzegovina had opportunity to present migration policy and situation in their countries, and also to exchange mutual experiences, as well as the situations and problems they faced as social service providers. Good practice of migration management was topic of second day on Academy, where two experts showed participants examples of treatment migration population: Prof. dr Ivana Krstić, professor on Faculty of Law in Belgrade presented the standards of treatment different categories within migrant’s population and Svetlana Velimirović, Deputy of Commissar for Refugees and Migration of the Republic of Serbia presented international legal ground for reception of migrants and introduced participants with EASO reception standards. 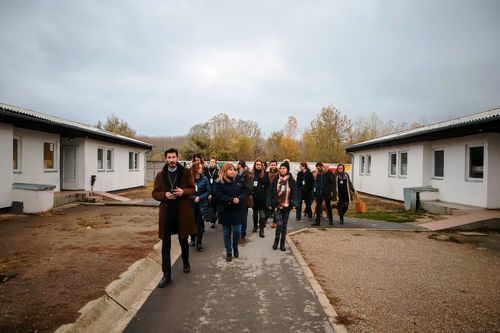 Additional to this, as best field practice, participants had opportunity to visit one of the biggest reception camp and asylum centre in Serbia – Camp Krnjača and Elementary School “Branko Pešić “in Zemun. Manager of the Asylum Centre in Krnjača Mrs Djurdja Šurlan, presentend the short history of Centre, with retrospective on migrant crisis past few years. She spoke about the toughest times when the migrant crisis was on the rise and several thousand asylum seekers were approaching the door of these baracks daily. She also presented the problems and challenges they have been faced with, cooperation with goverment sector and social service providers, then, as today. 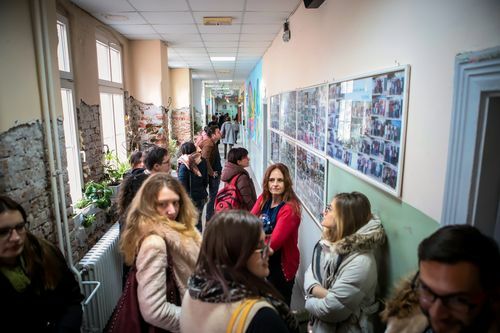 „Branko Pešić“ is an elementary school that mainly works with a marginal and vulnerable group of children and those who have fallen out of the education system. Thus, it has become an example of good practice when it comes to educating young migrants. 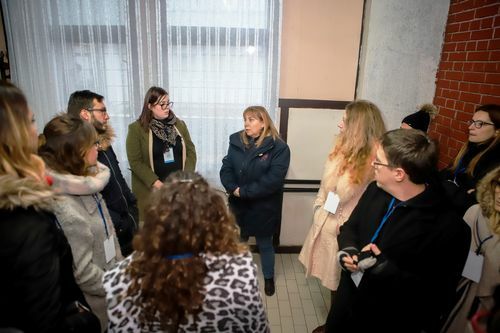 The director of the school Mr. Nenad Ćirić presented to Academy participants the system of working with migrants that is being conducted in this school and the way that he and his staff motivate these children to learn in special conditions. 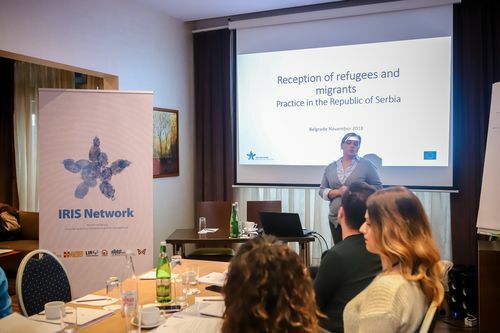 On third day of Regional Social Academy, Maša Vukčević Marković from PIN network shared her experience in empowering the migrants’ population. Psychosocial working with migrants, universal standards in providing mental health services, multisectoral approach, were just few of the topic covered in this lecture. 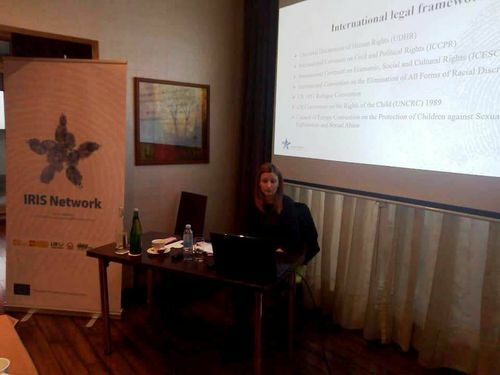 About working with unaccompanied minors, Ivana Vukašević from HCIT introduced the participants with legal framework, definition of minor groups and working with them, pedagogical and psychological approach, role of NGOs and government sector. 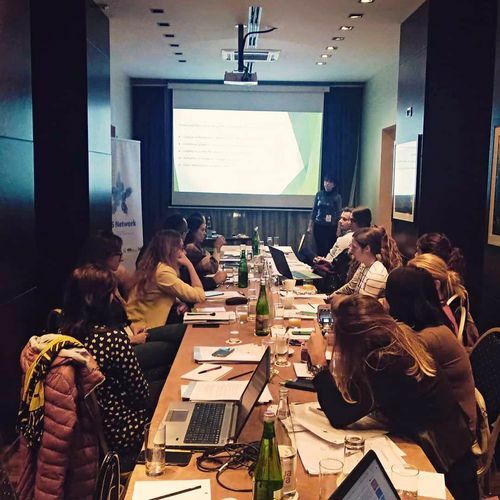 Sanja Kljajić wrapped up the third day with topic: role of the social welfare system in securing and providing protection and services to the vulnerable groups of migrants and refugees. 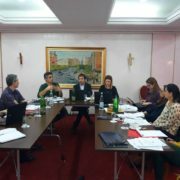 Academy was closed on fourth day with final workshop: Agreement on the structure and content of the presentations for home country communities. Successful Academy participants obtained certificates, and entered Alumni Association of the IRIS Network. Upon this training each of the participants will be delivering informative session/workshop to their communities/organizations/institutions. Outstanding results at the Academy will be seen as an advantage when applying for EU based traineeships organized by IRIS Network. This is the first of four Academies planned to be held within IRIS Networking in next two years. 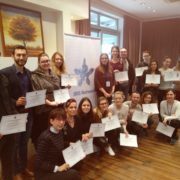 After the Academy, five participants will have the opportunity to receive the scholarship for traineeship in the relevant organization social service providers located in EU. 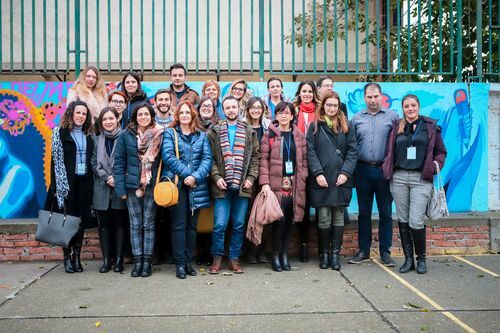 At the Regional Ministerial Conference ‘Social Dimension Initiative of EU Integration’, organized on November 6, 2018, by ASB, IRIS Network represented the civil society sector. More than 150 relevant stakeholders from SEE and EU – Ministers of Labour and Social Policy from Serbia, Bosnia and Herzegovina, FYRoM, Albania and Montenegro, MEPs, Head of Unit International Issues – DG Employment, Social Affairs and Inclusion, Head of Political Department – Regional Cooperation Council, H.E. 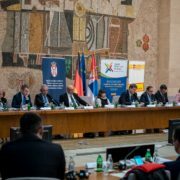 German Ambassador to Serbia, Serbian Minister for EU Integration and civil society organizations from SEE were present at the Conference. Signing the Declaration on Improving Social Policy in the Western Balkans by Ministers of Labour and Social Policy from 7 countries, at the Conference, demonstrates full commitment to strengthening the social dimension within the enlargement process. Key topics discussed during the Conference were social aspect of the EU Integration process, transformation of social welfare system, new actors in social services and the role of CSOs in the social welfare system. Through participation in the Open Panel Discussion ‘EU Social Perspective’ IRIS Network presented to relevant stakeholders on the EU, regional, national and local level National IRIS Networks and its members – civil society organizations social service providers from Serbia, Bosnia and Herzegovina, FYRoM, Albania and Montenegro and promoted best practices in providing social services to vulnerable groups, with a focus on migrants. 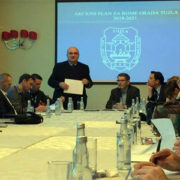 Furthermore, a dialogue between IRIS Network and the signatories of the Declaration concerning protection sensitive migration management has been initiated, which is of upmost importance for mutual understanding, communication and future actions in SEE, on regional, national and local level related to migrant issues, leading to prosperous and inclusive society. IRIS(Network of CSOs providers of social services) and Arbeiter-Samariter-Bund Deutschland e.V. are announcing the Call for participants of the Regional Social Academy, which will be heldin Belgrade, Serbia from 26thto 29th November 2018. 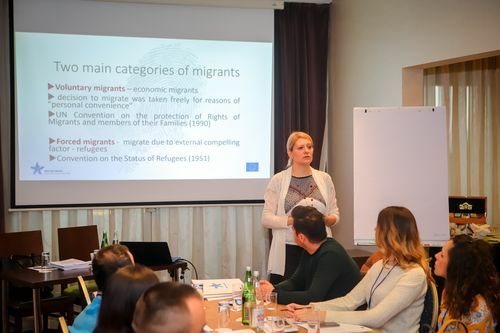 Academy offers participants a unique opportunity to benefit from a diversified training package, exploring migration policy and governance in the region, linkages between migration and social service delivery, and instruments and mechanisms for protecting migrants’ rights. Participants will attend 4 day tailor-made training consisted of different learning methodologies including lectures, workshops, discussions and field visits. The Academy program will enable further improvements and optimization to the needs, interests and constraints of the participants and their institutional and organizational environments. Successful participants will obtain certificates, and enter Academy Alumni. Outstanding results at the Academy will be seen as an advantage when applying for EU based traineeships organized by IRIS Network. For the application procedure, please follow the link. 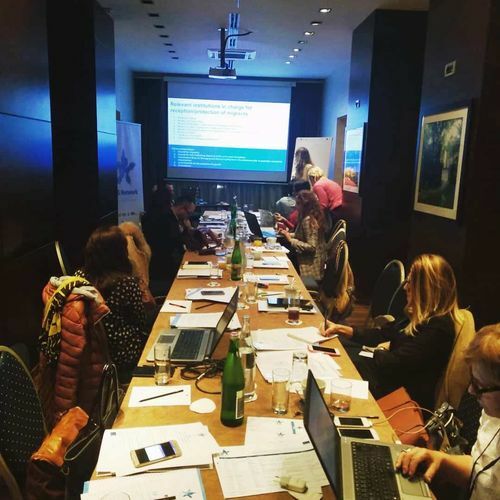 Initiative for Development and Cooperation (IDC) and IRIS Network organized a meeting with the members of the Serbian Network in Belgrade on 11. September 2018. Member organizations, new members and the old ones had the opportunity to hear about the current cycle of activities on the project IRIS NEWORKing implemented by the IDC and its partner organizations ASB South East Europe, LIR CD SOS Podgorica, Otvorena Porta – Open Gate: La Strada Macedonia, ARSIS – Association for the Social Support of Youth and the opportunities for the empowerment of member organizations through financial support and other forms of assistance. 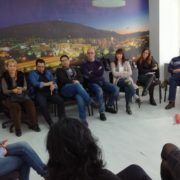 The closing part of the meeting was moderated by Žarko Šunderić, the director of Center for Social Policy, in order to encourage the participants to share their experiences and ideas for mutual cooperation and development, exchange examples of good practices and compare experiences of different organizations involved in providing social services to migrants, refugees, asylum seekers and other vulnerable groups in Serbia. 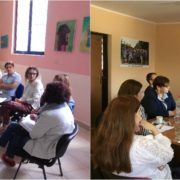 The Association of Roma “EuroRom”, member of the IRIS BiH network dealing with Roma people, announced the information on the follow up activity completed in previous project phase of CSF funded IRIS project, that The Action plan for Roma in Tuzla City 2018-2021 was enacted in November 2017 by City Council of Tuzla. Additionally, it was financially supported in amount of 40.000,00KM for its implementation. 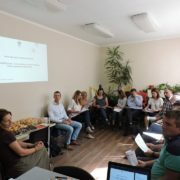 This advocacy activity was funded within Small Grant Facility program Phase II and the title of the Action was “Development of Local action plans for effective social inclusion of Roma” with the main goal to improve policies and practices in the area of social inclusion and establishment of the system of providing quality social services for the Roma population in the area of Tuzla Canton.